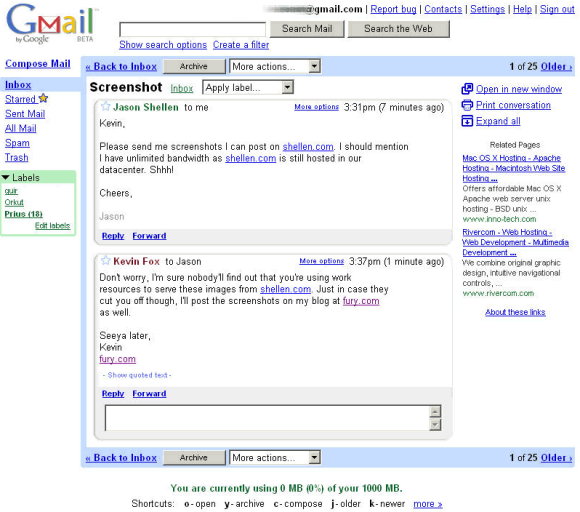 To celebrate 10 years of Gmail, Google will launch a special Gmail interface that takes you back to 2004, when Gmail was launched. The retro interface doesn't include a contact manager, drafts, a rich text editor and other advanced features. Gmail will only show the most recent messages, since the storage is limited to 1GB. Update: This is a joke for April Fools' Day 2014.